Dr. Oz had a great episode September 18, 2014, talking about issues as varied as what happens to us when we die, the truth about omegas, how to reduce our dependence on caffeine, how to know when you’re addicted to coffee, and the top 5 fall favorite foods. Check it out below! Dr. Oz talked to Judy Bachrach, who has talked to almost 100 people who have died and come back from the other side with new memories and experiences with spirits. Is there an afterlife? Dr. Oz: The Truth About Omegas & Why Do We Need Four Different Omegas? Dr. Oz talked about the truth about omegas today on the show, highlighting the importance of Omega-3, Omega-5, Omega-7, and Omega-9. 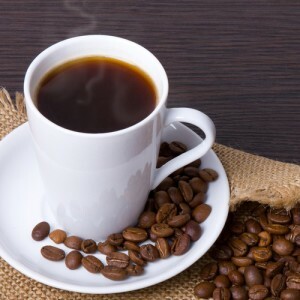 Dr. Oz: How To Reduce Dependence On Caffeine & How Much Can We Have? Dr. Oz talked to a woman who was worried about her dependence on caffeine, which has caused pre-cancerous damage in her esophagus and caused her to have terrible sleep. Dr. Oz shared his Top 5 Fall Food favorites, including butternut squash, winter squash, pears, broccoli, and beets.